I'm Matthew Armstrong, I'm 17, from Northern Ireland and am currently at Friends' School Lisburn studying for my A levels. I ride for Dromara Cycling Club, they are my local team and have been very good to me when it comes to my progression in the sport and still are! I started cycling when I was 12 because my dad suggested that I got a road bike because he had one when he was younger and loved it! I was hesitant at first but thought why not! After my first five Mile ride on my new bike I realised just how unfit I was but I also realized just how much fun it could be so I pushed on through the rough first few months on the bike and started to go out with the club and have loved it ever since, gives me something to look forward during the day at school! I used to play for my local football team when I was about 8 until I was about 10 and even scored a goal once in those two years, so I guess it's safe to say I wasn't top goal scorer... After that I kind of jumped from sport to sport, such as: tennis, squash, badminton, golf, running, rugby and basketball. None of these sports really worked out for me and that is when I discovered cycling and here I am today! 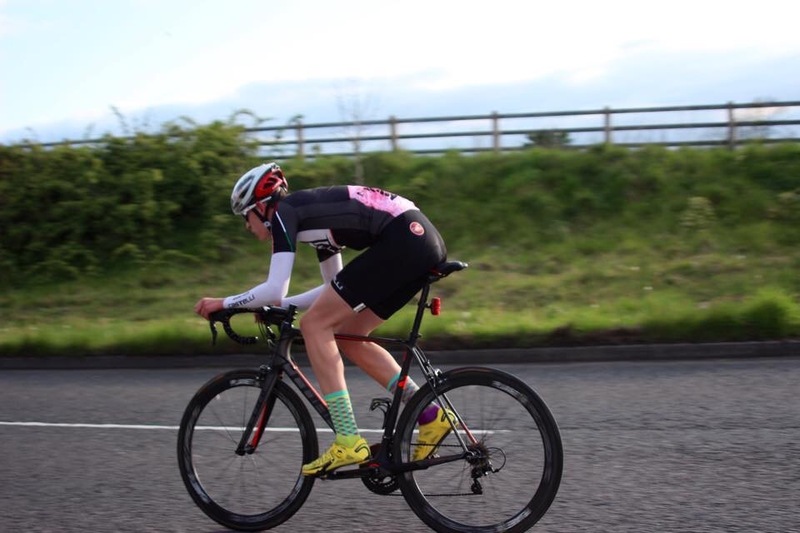 I race road races, time trials, the odd criterium and have done a few duathlons before, but most importantly and most competitively I race for 30 mph signs on a club run! With road races I love being in a breakaway and riding well, nothing is more satisfying when you feel your training paying off! Love a good time trial because it's always nice to beat your previous time and more importantly your friends! Also love trying to race my friend down a mountain when we go mountain biking! Currently two but hopefully getting the third soon! I can't pick one! It's between my Oakleys, specialized sub 6 shoes in red and I love a good pair of The Athletic socks! In my cycling career I have always been a second place kind of guy but I am making sure that it's not going to be like that in 2016! My best achievement was probably 8th in the Irish national championship crit last year! Phillip Gilbert, Tom Boonen, Fabian Cancellara, Jens Voigt and of course King Sagan. 100% from my house a nice loop around into Newcastle to Niki's kitchen cafe, couldn't beat their caramel squares with a big stick! 50 mile round trip is absolutely worth it. Keep riding my bike and the sky is the limit! Would be nice someday to get paid to ride my bike!